Living... in Birmingham, England, where corruption is rampant and lawlessness is the norm shortly after World War I. Brought in from Northern Ireland by Sir Winston Churchill, Chester Campbell is determined to clean up the city and make his mark. Profession... chief inspector. Campbell is known for his ruthlessness and competence when it comes to quashing rebellion and depravity. He had plenty of success in Ireland, but Birmingham is proving to be quite the challenge. Relationship Status... single. But he has his eye on Grace Burgess, the daughter of one of his past acquaintances. She currently works under Campbell as an undercover agent, but he’s interested in becoming more than her boss. Challenge... combating gang violence and crime. The Peaky Blinders are growing in strength everyday. 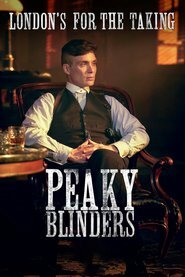 The group’s leader is Thomas Shelby, "a man who cuts off ears and cuts out tongues,” and Campbell will stop at nothing to see him destroyed. Chester Campbell's popularity ranking on CharacTour is #5067 out of 5,000+ characters. See our top-ranked characters and read their profiles.